The ticket, which appears to be dated 19th August 1980, was found at Haymarket metro station. The services are suspended on Saturday 13 and Sunday 14 January, to allow for completion of modernisation work. Metro passengers are being warned ahead of 34 days of line closures to allow for £20 million of modernisation works. The new timetable from today will see early morning weekday services from Sunderland, South Shields and North Tyneside stations. Police have released an image of a man they would like to trace after a member of Metro staff was abused in Newcastle. 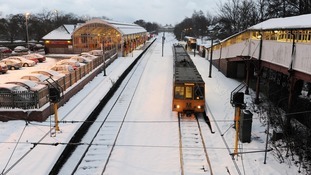 The Tyne and Wear Metro will be running additional services during the busy festive season. Extra Metro trains are scheduled to help shoppers, families and partygoers as they descend on the region’s shopping centres and nightspots throughout December. The additional Christmas Metro services will be in operation from Thursday 8 December until Friday 23 December. Christmas and New Year is a busy time for everyone as they do last minute shopping and enjoy nights out with friends and family, which is why we are putting these extra train services on. No trains will be in operation on Christmas Day and on New Year’s Day. Please note that the times vary depending on the train destination, customers should check before travelling. Trains will also run to a Saturday timetable on New Year’s Eve until approximately 10pm then at a half hourly frequency until the end of service. There will be additional trains running to accommodate extra travellers expected around the New Year’s Eve Parade at Haymarket in Newcastle. 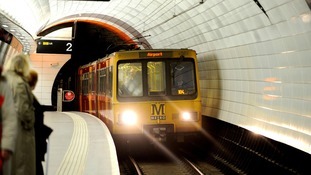 There are severe delays on the Metro between Pelaw and Brockley after a power fault earlier today. Nexus say the fault was cleared at 14.01 but delays will continue for at least the next hour. Trains are moving, but with severe delays. We will continue to run the taxi and ticket acceptance while we reorganise the trains. Delays system wide- overhead line issue at Fellgate. Trains running to all destinations but with delays. Bus number 27,5, 9 and 88 advised. The North East Combined Authority has voted unanimously in favour of plans to improve and expand the Tyne and Wear Metro.